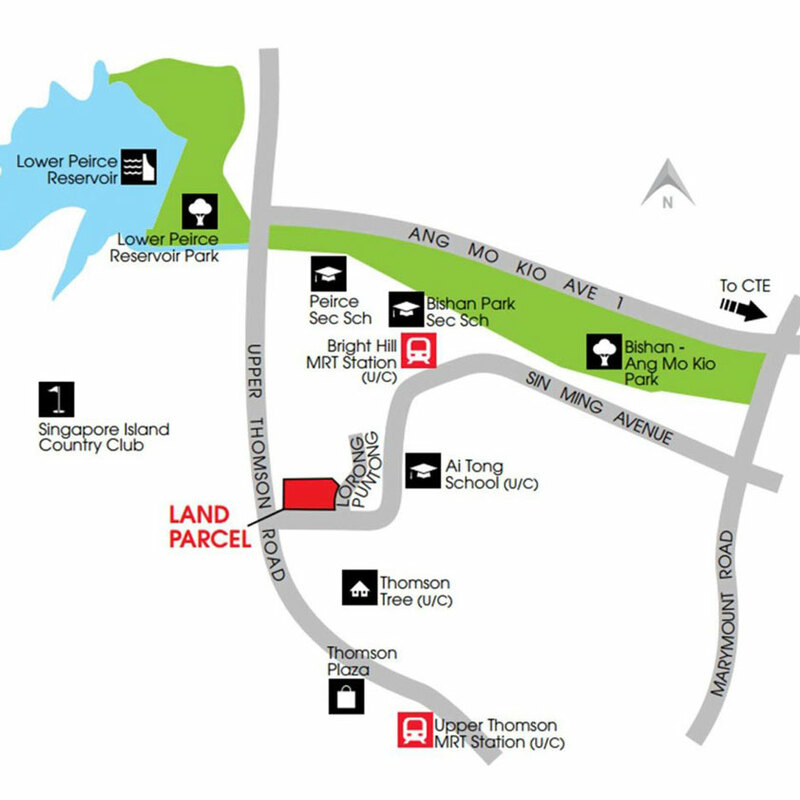 Singapore New Condo Launch: Thomson Impressions Condominium @ Lorong Puntong, District 20, Upper Thomson private enclave, Exclusive tranquil living amidst lush greeneries of the Lower Peirce Reservoir developed by Nanshan Group . Comprising of just 288 apartment units housed in two 19 storey towers, Thomson Impressions is built over a site area of 113,051 sqft by renowned Nanshan Group. Come home to Thomson Impresseions, rejuvenate your senses nutured by mother nature as you retreat from the daily stress of modern city living. Thomson Impressions condo is just 5 minutes walk from the upcoming Bright Hill MRT station connecting to the Thomson Eastern Line expected to be ready by 2019. This means traveling to the CBD is mere minutes train ride away. While a short weekend vacation into the Southern parts of Malaysia, Johor Bahru, will also be a short convenient train ride when the Johor's Rapid Trainsit System (RTS) is ready which will connect to the TEL line. 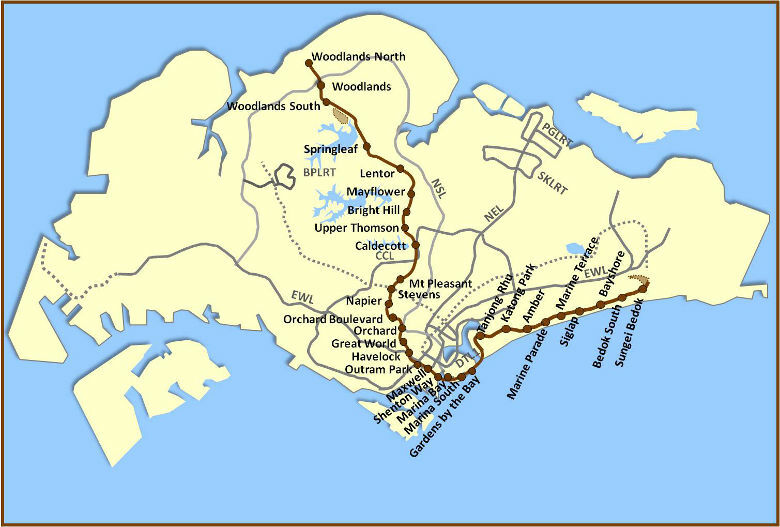 It is located just off the Upper Thomson Road, an arterial road well connected to other major arterial roads such as Lornie Road, Thomson Road, Bartley Road, Amo Kio Ave 1, Yio Chu Kang Road as well as major highways like Seletar Expressway (SLE), Pan Island Expressway (PIE) and Central Expressway (CTE). So getting around will be a breeze and this means you are close to anything and everything surrounding the area which is famous for some of the best eateries on this sunny island. Amenities are aplenty so there is never a dull moment living at Thomson Impressions. The Upper Thomson Road is lined with great eateries, cafes and pubs. Thomson Plaza which is a 3 minutes short drive away offers a host of amenities from groceries, tim sum restaurant, 24 fast food, cafes, music schools, clinics, etc..Residents can also catch the latest blockbuster movies at Junction 8 at Bishan where more retail theraphy is a short 5 minutes drive away. Project Description Proposed Residential Flat Development Comprising 2 Blocks Of 19-Storey Building, 1 Unit Of 2-Storey Strata Bungalow And 4 Units Of 2-Storey Strata Semi-Detached (Total: 288 Units) With 1 Basement Carpark Levels, Swimming Pool And Communal Facilities On Lot 18045a Mk 18 At Lorong Puntong. Developer NS Property (Thomson) Pte. Ltd. The Thomson Impressions is perfectly placed at the fringe of City of Singapore where amenities are aplenty. 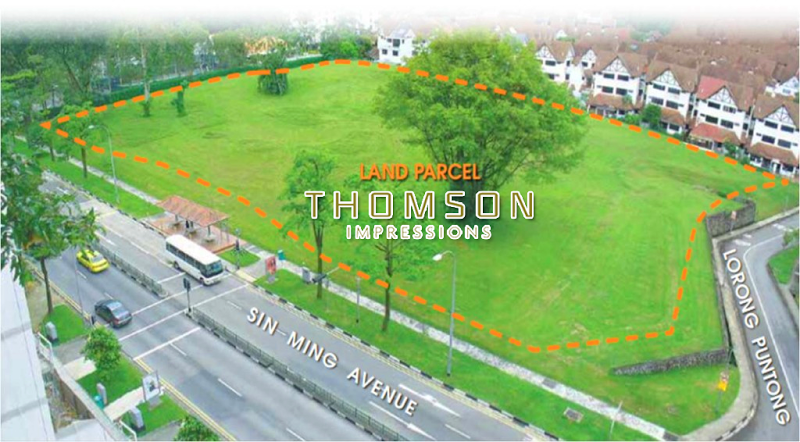 Comprising of 288 quality built condo apartment units, Thomson Impressions living space are crafted with efficient layout ensuring comfortable spacious living for every lifestyle. Preliminary information is subject to change. 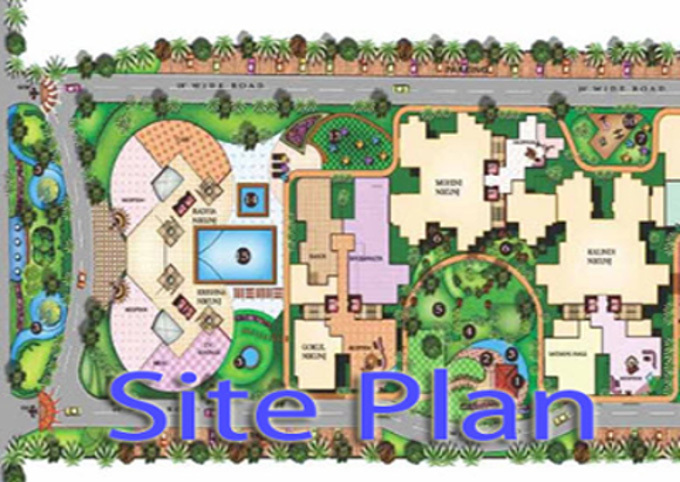 Please stay tuned for more information about upcoming launch of Thomson Impressions apartment units for sale soon. Don't missed this ground floor opportunity to invest in emerging Singapore property market. Register your interest for updates and more. This webpage is for information only. Whilst reasonable care has been exercised in preparing this information, it is subject to change and these particulars do not constitute, nor constitute part of, an offer or contract; interested parties should not rely on the statements or representations of fact but must satisfy themselves by inspection or otherwise as to the accuracy. No person in the employment of the agent or the agent’s principal has any authority to make any representations or warranties whatsoever in relation to these particulars and SingaporePropertyHunt.com cannot be held responsible for any liability whatsoever or for any loss howsoever arising from or in reliance upon the whole or any part of the contents of this webpage.